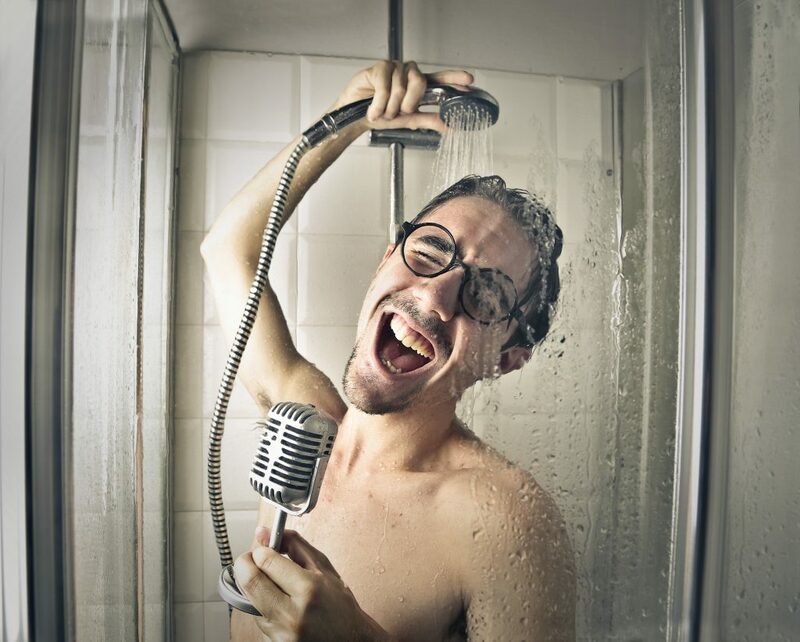 It’s a widely acknowledged phenomenon that people’s singing voices significantly improve when they’re in the shower. 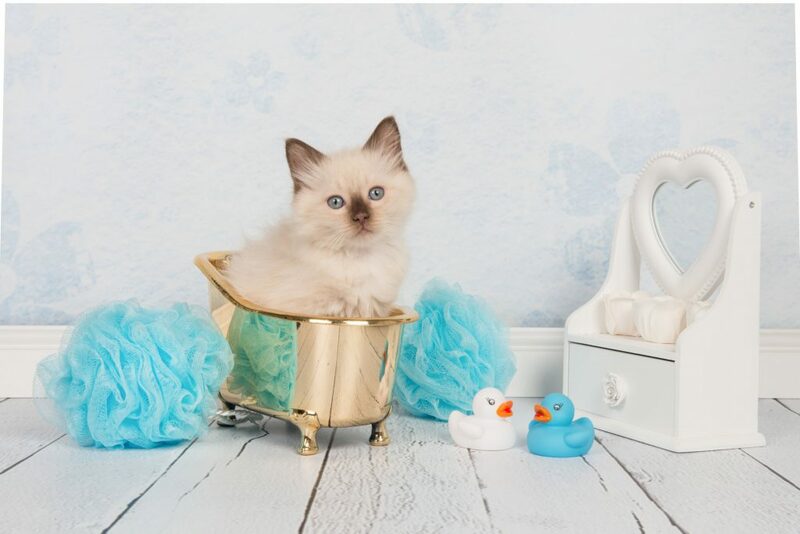 Have you ever been singing whilst having a scrub and thought to yourself, ‘wow, I actually sound pretty good!’ only to mortify yourself on stage that evening at the karaoke bar, as you discover that you still sound like a drowning rat when you try to hit those high notes in Dancing Queen? Well, you’ve been duped by science. It’s all to do with reverberation and acoustics. 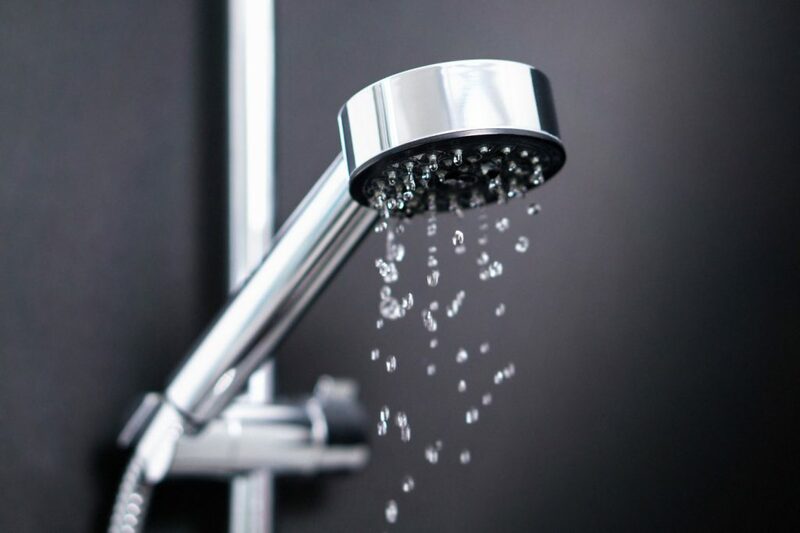 Reverberation is the process by which sounds blend together, and the structure of your typical shower provides the ideal environment for this. Essentially, the shower acts as a mixer that modifies your voice, making it sound better. It does this in three ways. First of all, the volume of your voice is reflected off the hard and smooth surfaces of the bathroom, so it doesn’t fade as quickly as it would in an open space. Secondly, as the sound bounces around the shower, creating reverb – your voice ‘hangs’ in the air longer than usual, giving it an embellished, rich sound. Reverb also evens out pitch as it reverberates off so many surfaces, so even if you’re not hitting those notes, it sounds more like you are when you’re in the shower. Finally, the shower itself acts as a ‘resonant cavity’, naturally amplifying certain frequencies of sounds. So, the next time you’re in the shower, feel free to sing to your heart’s content, but maybe stay away from the karaoke. Another well-known bath time occurrence is the wrinkling of your fingers and toes. When soaking in the tub, you have no doubt noticed that your fingers and toes have aged significantly and now look like digits that belong to your grandparents. Well, scientists now think that they may understand the reason behind this wrinkling. People used to assume that wrinkling was the result of water passing into the outer layer of skin and making it swell up. But this has known to be false since the 1930s, as the effect does not occur in people with nerve damage to the fingers. This implies that the wrinkling is an involuntary reaction of the body; wrinkling is actually caused by blood vessels constricting below the skin. Wrinkling has been suggested to be an evolutionary function. In 2011, evolutionary neurobiologist, Mark Changizi, and his team set out to prove that wrinkling fingers were optimised for providing improved grip. In their study, they had participants pick up wet and dry marbles with normal hands and wrinkled hands. They found that the subjects were faster at picking up wet marbles with wrinkled fingers than with non-wrinkled ones, but that wrinkles made no difference with dry objects. Its been suggested that wrinkled fingers could have helped our ancestors gather food from wet vegetation or streams, and that the same effect in toes could help us get a better footing in the rain. So, the next time you’re in the bath, just remember that your fingers and toes are wrinkling as a natural reaction to your body’s evolutionary drive to adapt and survive in the wild. Quite the overreaction to a relaxing soak in the tub, really. Have you ever been in the shower and had a sudden moment of clarity? You’ve figured out the answer to a problem you’ve been trying to solve, or worked out the next big twist of that story you’re working on? Well, creativity is a process that is triggered by a few key factors, and our time in the shower can activate all of these at once. Dopamine is released into the brain – dopamine flow is increased during the likes of exercise or taking a warm shower. We’re relaxed – a relaxed state of mind is able to make insightful connections. We’re distracted – a distracted brain allows our subconscious mind to work on a problem in the background in a creative way. All three of these occur readily during a shower, so it’s no wonder we often have our best ideas whilst we’re scrubbing our hair. We work on autopilot during a shower, not concentrating too hard on the task at hand. Our minds are free to wander and come up with brilliant, creative solutions to all of life’s problems. Bet you don’t feel so bad about all those super long showers anymore. There you have it, three interesting and unusual bathroom phenomena. The next time you experience any of these, make sure it’s in a bathroom you love. At Panararmer, we provide bespoke bathroom design and installation services. For bathrooms in Lancaster and Bathrooms in Kendal, contact us today to find out more.